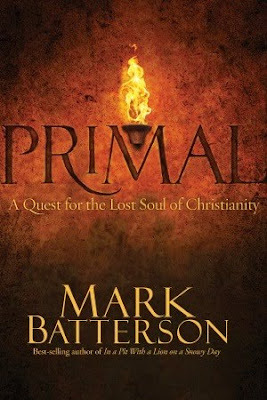 Mark Batterson's new book is an exploration of Christianity as we know it. We try to complicate it in our natural man. Mark shows us how Christ is the new Moses. He explains that what Moses said was good, but that the religious have complicated it and missed the point completely. Christ has shown us a simple way to live. This book is a call to creativity, to listening, and to acting on the call of God. I challenge you to make it the first book you read this year. Start a reformation in your own life. My grandfather used to say that children were born with a natural bent toward creativity. Society (adults) kill this desire that is latent in children with rules and disapproval. I thought Mark had some beautiful points about the creative nature of God. He said as we mature, we become more like Christ and that is shown in our own creative maturing. Many people do not believe themselves to be creative, but we are creative in our excuses and our justification of sin. We are just misusing the creativity inside of us. I was pleasantly surprised by this book. It left me with many ideas and sparked some creative desire within me. I could feel God's pleasure hidden in the words. May you be blessed, Mark. May your book be used to glorify God.